Cruise to Bermuda and experience 21 miles of pure paradise with Royal Caribbean, Celebrity and Norwegian Cruise Line. 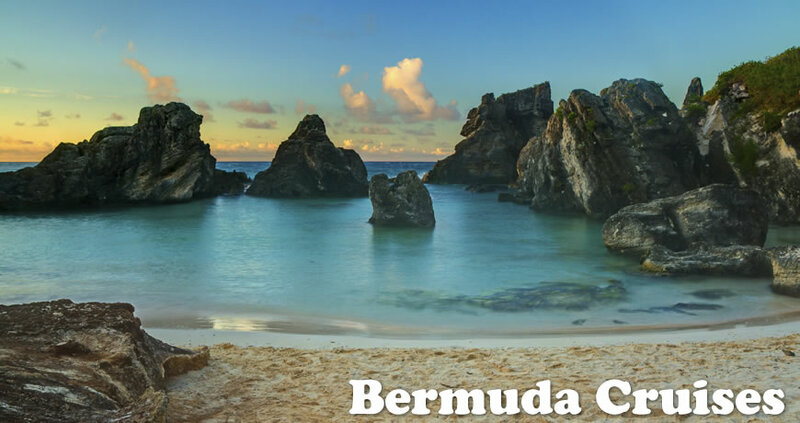 Bermuda cruises provide you the opportunity to explore and enjoy the legendary pink sand beaches and crystal clear turquoise waters of this wondrous island. In addition to water sports (boating, fishing, snorkeling and swimming with the dolphins), this tropical island paradise offers a “feast” of historical sights, more golf courses per square mile than anyplace on Earth, beautiful botanical gardens, and, of course, fabulous duty-free shopping. Located about 600 miles off the coast of South Carolina, Bermuda boasts a near-perfect year-round climate with Spring, Summer and Fall temperatures almost always a comfortable 70 – 85 degrees and, unlike most Caribbean islands (which are hundreds of miles further South), Bermuda has no “hurricane season” to “drown-out” your dream vacation. Cruises to Bermuda from Boston, NYC, Baltimore and NJ are widely available on the most popular cruise line such as Celebrity Cruises, Norwegian Cruise Line, Holland America and Royal Caribbean. Vacationers can typically choose from 5 to 7-day cruises to Bermuda. For New York & New Jersey residents, a wealth of Bermuda cruise options are available. Both Royal Caribbean and Celebrity Cruises to Bermuda are available between the months of May and October sailing from NJ. Not to be outdone, Norwegian Cruises to Bermuda are offered round-trip from New York City. Travel a bit north and residents of Massachussets can enjoy a 7-day Bermuda cruise vacation leaving from Boston with Holland America Cruise Line. 1. Bermuda is only 650 miles east of North Carolina, which makes it perfect for cruising from home ports such as New York City, New Jersey, Maryland, Pennsylvania and Massachusetts. 2. Bermuda is hundreds miles north of the hurricane-prone Caribbean islands. 3. Bermuda offers ideal climates throughout the entire cruising season. Expect average temperatures ranging from 70 to 85 degrees from April through October. 4. Bermuda has no “rainy season” to “drown-out” your vacation enjoyment. 5. Bermuda has some of the nicest beaches in the world featuring cool pink sand beaches and crystal-clean turquoise waters. The average sea temperatures are 75 – 85 degrees from April through October. 6. Enjoy duty-free shopping with fine international imported goods (…and no sales tax!). 7. Bermuda features more golf courses per square mile than any other country in the world. 8. You can never go bored in Bermuda….Bermuda offers boating, sailing, fishing, snorkeling, golfing, scuba diving and so much more. 9. Warm, friendly, gentle people will greet you as you visit this beautiful island paradise. 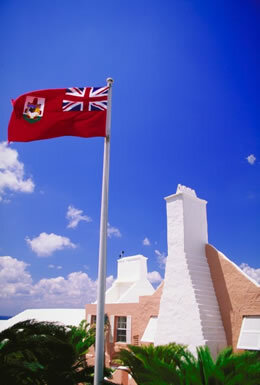 Bermuda is among the top 10 worldwide in per capita income. 10. 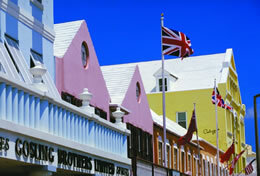 Bermuda offers a combination of tropical ease mixed with British sophistication. 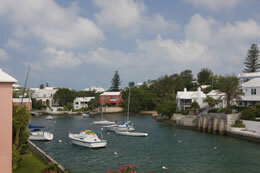 • Hamilton, Bermuda – Bermuda’s capital city offers a taste of tropical ease mixed with British Charm. 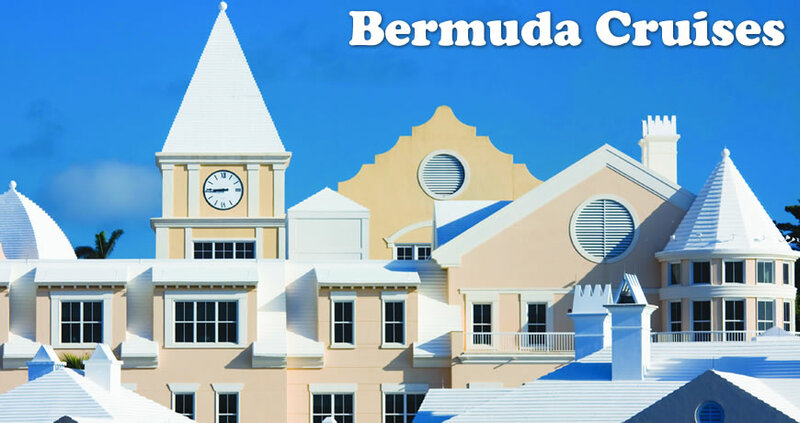 Enjoy some of best duty-free shopping in Bermuda along with island adventures such as snorkeling, glass bottom boat trips, Catamaran cruises and scenic bike tours. • St. George, Bermuda – Located on the far east end of Bermuda, cruise vacationers can walk the scenic cobblestone streets and enjoy great local shopping along with breathtaking beaches such as Tobacco Bay. • Kings Wharf, Bermuda – Enrich yourself in deep history as your stroll through museums, craft and art centers in this Royal Naval Dockyard. For those seeking more adventure, Kings Wharf also offers a snorkel park and water sport facility. 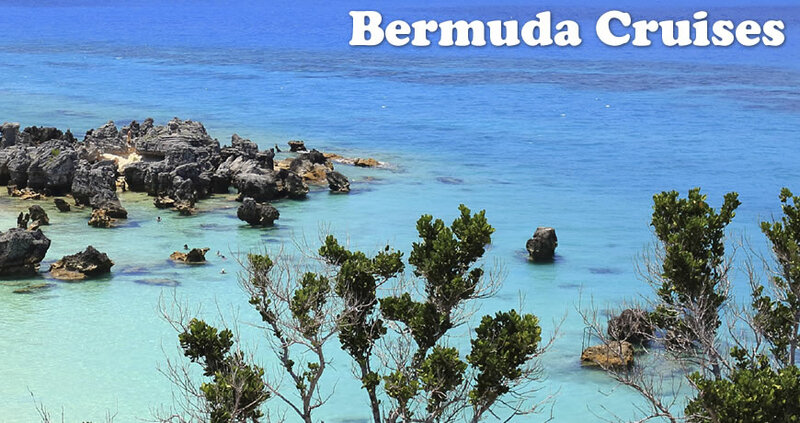 Book your cruise to Bermuda today! For Royal Caribbean, Celebrity, Holland America or Norwegian Cruises that depart from Boston, New Jersey, New York, or Baltimore, call Direct Line Cruises today to book your dream cruise vacation.